After the shooting, Scott waits in the hospital to learn if his mother is going to pull through. After this, Scott's done playing it safe when it comes to Gerard. It's time for war. 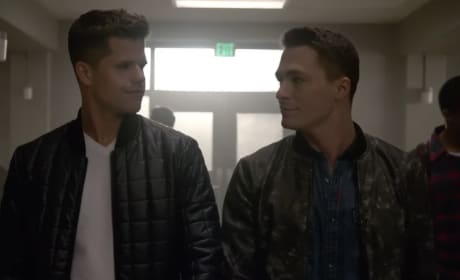 A couple of guys come looking for Scott on Teen Wolf. 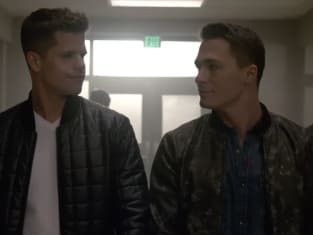 "Werewolves of London" is the 17th episode of the show's sixth season. Scott: No more peace summits. No more running. No more half measures. Malia: I'm good with that plan. Permalink: I'm good with that plan. Melissa: Listen to me, you didn't do this. Scott: But I'm responsible. You need to sleep. Melissa: I just need to tell you. Melissa: Don't run. You fight. Permalink: Don't run. You fight.